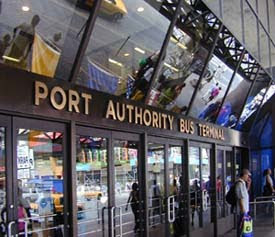 A top manager for the Port Authority has been fired after an investigation into the validity of college degrees listed on his resume. Acting Port Authority Police captain Jay Alpert was terminated Wednesday. Port Authority Spokesman Steve Coleman tells the Record of Woodland Park Alpert has been removed from position. Alpert said he had a bachelor’s and master’s degree from LaSalle University in Louisiana. The now-defunct distance learning school was closed after its founder was jailed on federal fraud charges in 1997. The former Bergen County Sheriff’s attorney has denied that his degrees came from a diploma mill. Alpert was suspended with pay last month. Gov. Chris Christie appointed Alpert to the $110,000 a year position in 2010.